Torrential rains and thunderstorms are forecast to blanket the capital city of Hanoi and northern mountainous provinces for the next few days. 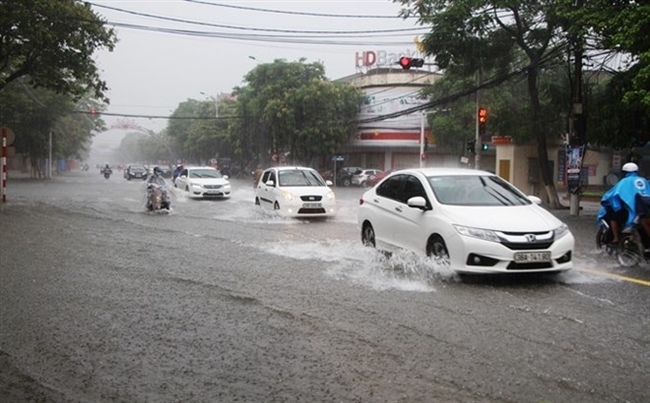 The National Centre for Hydro-Meteorological Forecasting warned that provinces from Thanh Hoa to Thua Thien-Hue are also likely to experience bad weather until July 18. The agency said the rains were caused by the influence of the inter-tropical convergence zone combined with a subtropical ridge. 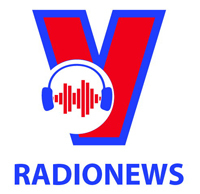 The centre also forecast that water levels could rise by 2-4 metres upstream the Hong (Red) – Thai Binh river system, waters could swell by 3-7 metres in upstream rivers from Thanh Hoa to Quang Tri. 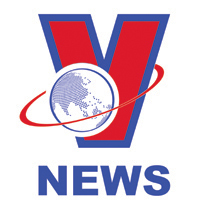 Mountainous areas in the provinces of Hoa Binh, Son La, Lai Chau, Yen Bai, Quang Ninh, Thanh Hoa, Nghe An, Ha Tinh and Quang Binh have been put on high alert for flash floods and landslides, with Yen Bai particularly at risk last night, the centre said. Floods are also forecast in lowland and urban areas in the provinces of Hai Duong, Nam Dinh, Ninh Binh, Thai Binh, Hoa Binh and Hanoi, as well as localities from Thanh Hoa to Quang Tri. Torrential rains had already caused several roads to flood and brought traffic to a standstill in central Nghe An province on July 16. A stretch of National Highway 7 running through Con Cuong district was blocked by a landslide triggered by the rains on July 16 morning, but fortunately no casualties were reported. Northern and central provinces are facing two tropical low-pressure systems that appeared at the same time on July 16. The first one formed at 7am near the coast of Thanh Hoa – Ha Tinh, the centre said. By 4pm on July 16, the eye of the system was about 100-130km off the coast of Thanh Hoa – Ha Tinh with winds speeds reaching 50km per hour. The front is expected to make landfall at 4pm today, before weakening on July 18. Rough seas with waves of 2-3 metres can be expected in the Tonkin Gulf. The second tropical low-pressure system reportedly appeared near the East Sea on July 16 morning. By 1pm on July 16, the eye of the system was about 180km to the northeast of the Philippines’ Luzon Island with wind speeds of up to 60km per hour. The system is moving quickly west-northwest at 30-35km per hour, and is forecast to gain in strength and become a storm after entering the northern part of the East Sea, the centre said. The storm is on course to make landfall by 1pm on July 18 in north-central provinces with wind speeds of up to 75km per hour.